Want short, but moving reflections for Easter? On Calvary's Hill gives you 40 very short readings with discussion and prayer for Lent and Easter. Max Lucado gives of his concise and insightful best to provide a time of reflection and contemplation as part of your passiontide preparations. Each devotion is short and simple rooted in the Easter narrative and the events at the heart of the Christian story of God's love and redemptive power. Ideal for new Christians, this book makes an ideal gift to introduce your friends who might be a the beginning of their Christian journey, or to encourage established believers to make time for personal prayer and devotion. Writing to his strengths, Max provides a spiritual script for anyone searching for a personal meaning amid the world changing events of Easter. Created to speak to the ordinary reader through clear thought and focused passion these forty readings are presented in easy to understand paragraphs giving new insight into the word of God. If you want a short and simple guide to lead you into a better understand what happened in Christ's final days before Easter, and why it still matters today, On Calvary's Hill is place to stand and watch and learn. On Calvary's Hill by Max Lucado was published by Thomas Nelson Publishers in January 2015 and is our 232nd best seller. 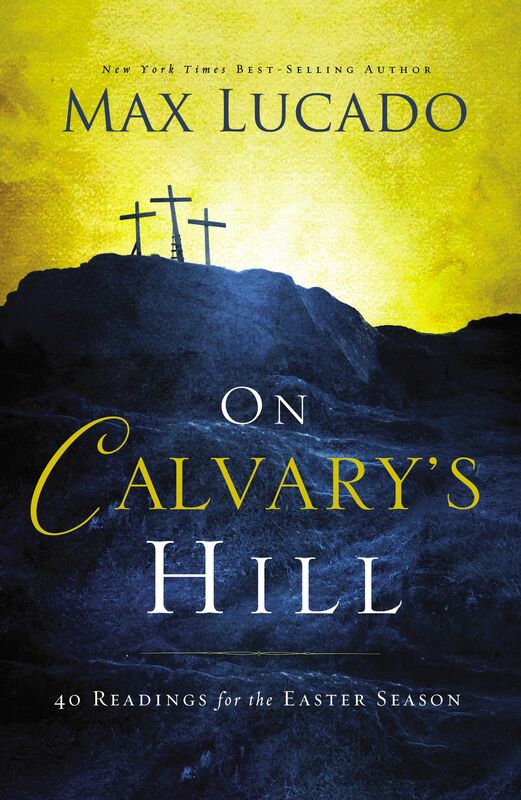 The ISBN for On Calvary's Hill is 9780718031329. Be the first to review On Calvary's Hill! Got a question? No problem! Just click here to ask us about On Calvary's Hill. On Calvary's Hill by Max Lucado begins early in Jesus' final week. The props and players for Friday's drama are in position. Five-inch spikes are in the bin. A cross-beam leans against a shed wall. The players are nearing the stage--Pilate, Annas and Caiaphas, Judas, the centurions. Players and props. Only this is no play; it's a divine plan. A plan begun before Adam felt heaven's breath, and now all heaven waits and watches. All eyes are on one figure--the Nazarene. Commonly clad. Uncommonly focused. He's on his final journey. Join bestselling author Max Lucado in an exploration of the final days in the life of Christ. Draw near to the Saviour and prepare to celebrate the greatest miracle ever conceived.Feel the passion. Sense the truth. Hear the promise.Death has no power.